I know in previous versions of FM neutral ads would show for most cup finals with the charity shield and similar 'super cup' competitions begin the exception, as for some reason FM never regarded them as being a neutral march, I'm not sure if this has changed in FM19, it is possible to switch between the clubs and no clubs xml without exiting FM which would guarantee cup specific adboards in a final. Switching between the two wouldn't work though now would it, because NO CLUBS has club banners included with competition ads now, and CLUBS is obviously club only specific ads? I'm talking only static banners by the way. Are there anymore plans for more club banners for the Premier League for the No Club Ads xml, like Liverpool, Man City etc? The ones for United look brilliant. Leave the actual graphics in the location you have already used. Amazing work as always, and thank you for all the time you take on this. This is a minor issue, but when playing as Celtic, some of the static boards on higher tiers that are supposed to run together e.g. Celtic Superstore and Celtic Football Club are fragmented between other ads. The only thing I changed was a direct swap of a New Balance board with a Green Brigade one. I did not touch the XML and just deleted the NB and added Green Brigade with same file name as NB. However, as you can see on these two screenshots, the Celtic Superstore in the right and corner and the Celtic Football Club behind one of the goals are mixed in with other boards. Not a big issue at all but thought it best to let you know. Do any of the German clubs ads work? As long you start with the clubs xml file then switching will work as no additional graphics are loaded with the no clubs xml file. There's no immediate plans, with the fan banners I only include permanent banners and to the best of my knowledge Liverpool and Man City fans don't display permanent banners at all matches such as the ones included with Arsenal, Chelsea and Man Utd. I have just noticed that when using the No Club ads XML, Celtic and Rangers at home in the SPL have a black dynamic board throughout. When playing Scottish Cup it is fine, the dynamic Scottish cup ads show at Ibrox and Parkhead, but for SPL both stay black. I have made no changes to the the XML at all. All other SPL clubs show static ads as expected that relate to the SPL rather than the club and the static boards do show correctly at Parkhead and Ibrox. Thanks again, just thought to share. Cheers for all the work as always. I meant to add that I have applied the bidstack fix and have the latest version downloaded and C. League competition dynamic ads also appear fine at Parkhead. Cheers. There are no video ads set for the Scottish Premiership in the no ads xml, unfortunately when this happens instead of loading either static ads pitchside or displaying default video ads, the game displays a blank lcd screen instead, I'll add some video ads in the next update, If you can send me your green brigade banner I can add this to the next patch too. I have just checked the Man Utd ads and they transition fine on my system, Make sure you have the bidstack fix installed, link is on the FAQ on page 1 of this thread. So the last years pack doesnt stack with Fm 19? It appears that adboards works fine in competitions but not in training matches. How do i work around that? And video adboard still is by default? Se my attachment. I have found one folder in the FM19 1.0 Adboard Patch being out of place and that affects the friendly match adboards in particular. Check out the location of your adboard graphics folder named "default". 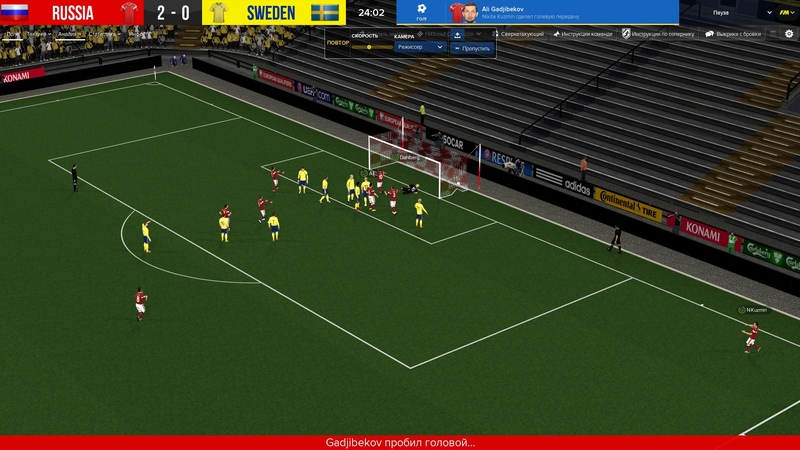 As soon as I moved the \default\ folder out of the \europe\ folder, the ads for friendly matches started working again. MLS only shows static ads. Other video ads are showing well. Is there a config error? Thank you for your.answer. Five of your existing generic video ads are played during the game. 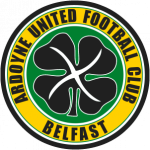 we do have an Umbro one but it's not the same one as in this pack so I haven't included that in the list. Some more York City adboards, slowly racking up as I go to more games and collect more images. The Size? ones are used from left to right along the back of the away end, the centre being directly behind the goal, with a few of the side ones dotted around the stadium. David Longhurst one is used behind the home goal, CLP and NHS are dotted around. Have set up the specific code on my game so I'll share that as well as the numbers I've used for my boards. No video adboards have been made for the European Championships, which is why blank video adboards are showing. Thanks, can you pm me the original files? I downloaded the patch v 1.0 and I do not have the test and default in the file !!! In my game, everything is all right. Big man, you are a complete legend. These adboards are absolutely outstanding. Thank you for all the hard graft you put in to making these. Amazing effort, every single year. So I have a bit of buyer's remorse. I was impatient and downloaded/installed a pack from the sigames website called "custom fan banners and adboards." It's a nice patch, but doesn't have the depth/quality of ads that your patch appears to have. Is it possible to install your patch on top without causing any problems or do I need to find a way to uninstall the previous patch? I'd love to keep the fan banners in the upper portions of the stadiums while using your adboards/video ads, but I'm content just to use your adboards/video ads.